Ten students from St. Joe will be participating in the WWT Hackathon event. 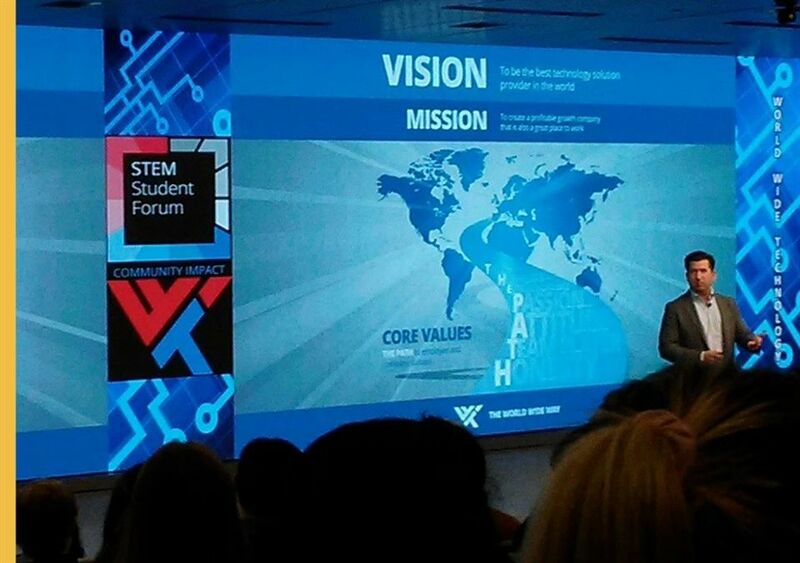 The kick-off STEM Forum event was held on Thursday, January 17 at World Wide Technology’s World Headquarters. Students were given presentations on STEM careers by Ann W. Marr, Vice President of Global Human Resources and Mike P. Taylor, Chief Technology Officer. The Hackathon process was outlined and advice was shared on how to decide upon a problem to focus upon when designing an application. Our student team decided, after an ideation session with our WWT mentor, to focus our efforts on creating a Career Connections website which links current SJA students to career advice from our alumnae, provides college recommendations for specific careers and information on local career opportunities such as internships or summer programs. The team will have five weeks to design their website and prepare a presentation for the Hackathon, which will take place February 23. 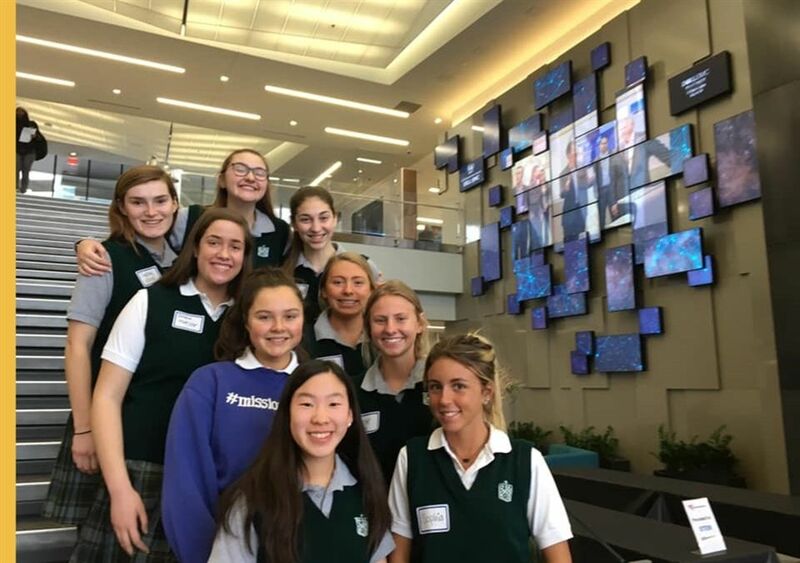 Members of the SJA WWT Hackathon team include juniors Sophia Devlin, Kara Greger, Mary Hayes, Sydney Hilker, Katie Kostecki, Natali Mispagel, Emma Mueller, Julia Ringhausen, Lexi Woodman and Katie Young. They will be working with Satya, a mentor from World Wide Technology and their faculty ambassador, Dr. Rose Davidson.